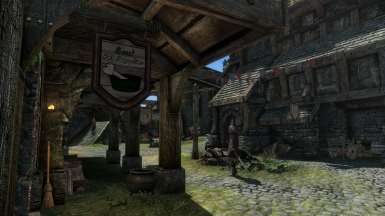 Port of Bau Pet Supplies from Oldrim to SSE by Jokerine. 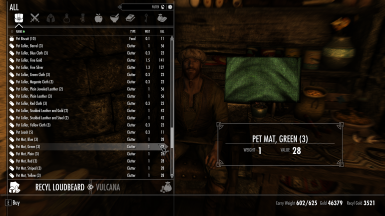 Adds a tiny pet shop in Solitude. - Bethjunkie for the testing, the morale-boosting and for being an awesome gal! 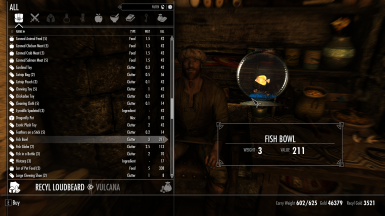 - Orient Set, Bunny Toys and Riften Fish Market by Garnet. Thank you for allowing me to take a look at your templates, too! - Stroti's Treehouse, Kitchen Tools, Static dishes and food, Cannon Resource, Resource Pack II and Old Mill Resource by Stroti and Tamira. Needless to say, thank you so much for all of the assorted help and new little meshes as well! - Refurb's Resources by RefurbMadness. And I love the havoked basket! 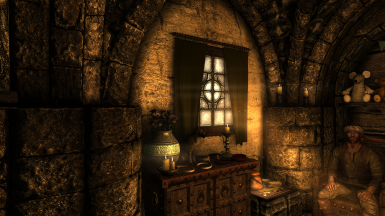 - Curtains from New World Modder Resource by breti. 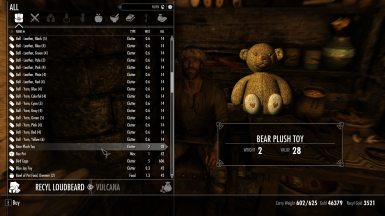 - Teddybears in Skyrim DV by Lila Mue. - Armored Circlets by QuickFox. - Ashara Dimonized Dress and Jewelry by SydneyB. - Bandanas of Skyrim by volvaga0. - Something Fishy by BadGremlin. - Better Journal Mesh - Modders Resource by DanielCoffey. - Windows Resource Pack by lazygecko. - FoodContainer Resource by Blary. - Gray Chicken Artwork courtesy of PNGimg.com. - Dog Bowl and Bone Clipart courtesy of CanStockPhoto. - Christmas, soap and clutter resources by InsanitySorrow. - Miscellaneous textures courtesy of Seamless Pixels, CG Textures, Fuzzimo and LuGher Texture. - And, last but not least, thanks to all the fine folks who have contributed to The TESA Resource Kit. The .esp has been saved in form 44 in the Creation Kit and no cleaning was necessary as Jokerine did this with TES5Edit on the original mod. 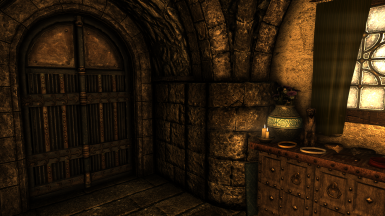 All meshes and textures have been processed through the latest version of NifOptimizer for compatibility with SSE. I tried to convert this about a month ago and was getting a CTD going into the store. I had a heck of a time trying to figure out what was causing it and after a little bit of digging, I discovered a texture file that was the guilty party. After modifying it in GIMP, NifOptimizer reported that no issues were detected. So users should have no CTD's at all. Important! Please do yourself a favor and leave any Followers and Companions outside. The store is really small and if you have a lot of Followers like me, it will get really crowded and Claustrophobia will set in LOL. You will see what I mean when you enter. This way you can shop and look around at your leisure without your sidekicks getting in the way. 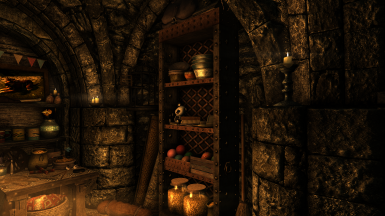 The only version that I converted for SSE was the Hearthfire edition which adds Straw to the Vendor's inventory. Converting the non-DLC version was redundant. Hello everybody! 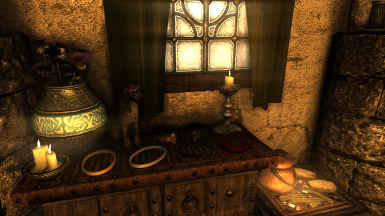 This little mod adds a tiny, tiny pet shop in Solitude, to the left of Angeline's Aromatics, where you can buy clutter and food for your animal friends. 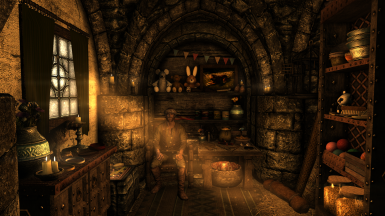 The file has been cleaned with TES5EDIT, is fully navmeshed and has no scripts, so it should be safe for everybody to use. Still, you should always make a backup save before installing ANY mod, in case something goes wrong. 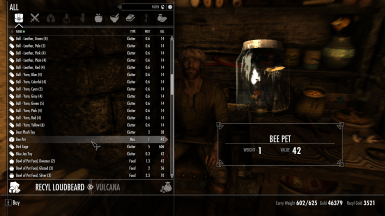 As stated above, this mod adds a very small pet shop where the player can find assorted pet-themed clutter, food, and perhaps a pet or two. 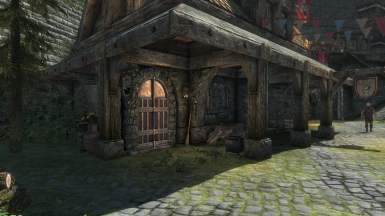 I attached the building to Angeline's Aromatics, in a small corner that, as far as I can see, has not been touched by any big mods that I am aware of. The merchant here works all day, and has what I feel is a decent amount of gold available for bartering. If you have Hearthfire, he has a chance ofselling straw, too, but in that case you could just use the Hearthfire version so he'll be sure to sell it alongside some crafting materials. 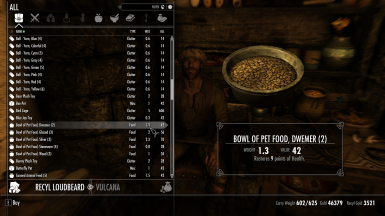 Because I wanted to celebrate the two-year anniversary of my Bau Pet Supplies mod for Fallout 3. I have made many mods since then, but that one remains one of my all-time favorites and holds a dear place in my heart. 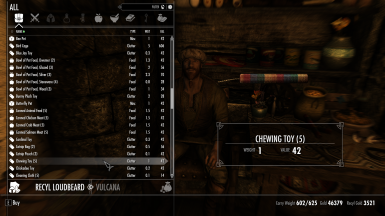 The chew toy I included here is basically the same as the one from that mod. 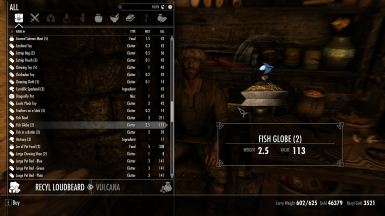 This mod should be compatible with other mods that edit Solitude, as I am using several (including all of my Solitude merchants) with no problems. But, if you find some issues with other mods you may be using, please let me know so I can list them here. 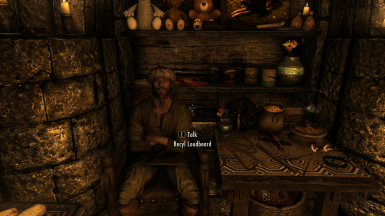 I have confirmation that this mod works perfectly alongside Dawn of Skyrim (full pack), the Skyrim Romance Mod (adds a new shop in town plus a party area and ballroom by the Blue Palace), Holidays and, conveniently, Pets of Skyrim. You cannot move the large pet bed once you drop it. This is an issue with the mesh that I was unable to figure out, so you'll have to add it to your inventory and drop it until you get it where you want it to be. At least this way it won't get kicked around by NPCs. Jokerine: For the mod and allowing open permission to port. Big thanks! 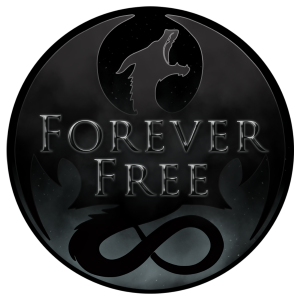 The Nexus Community: For a great bunch of supportive and awesome gamers and authors that have made playing SSE fun! Thank you. This mod is not to be sold under any circumstances. Jokerine made that very clear in her profile. 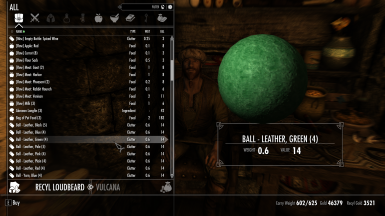 If you see this mod being sold anywhere, its an illegal copy and should bereported immediately to a Nexus moderator. I am not the original Author, Jokerine is.